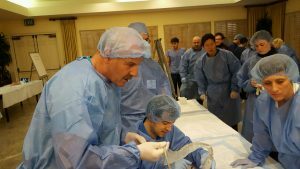 Dr. Speciale was invited to as a Clinical Instructor at the American Osteopathic Association of Prolotherapy Regenerative Medicine in San Diego 3/25-4/1/2017. The Spring 2017 Training Conference was held for the second year in a row at the beautiful Rancho Bernardo Resort in Southern California. AOAPRM continues to be the premier training organization for prolotherapy regenerative medicine. 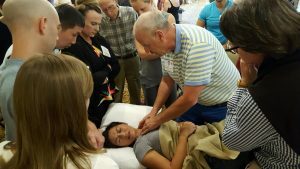 They have formally organized a pre-conference beginner’s course with a defined curriculum and an accompanying practical exam to include both anatomical palpation and injection preparation. This course will prepare students and new practitioners to engage in the cadaver and injection workshops of the main conference. Further, they have enlisted a fantastic group of presenters to cover the comprehensive topics involved in prolotherapy regenerative medicine necessary for achieving maximum successful patient outcomes. There was a participatory cadaver lab with prosections for detailed anatomical learning and body sections for dry needle injection practice. The conference is designed to facilitate a 7:1 student to instructor ratio to ensure effective learning and experience. It was a great experience for Dr. Special and the rekindling of friendships in a relaxing, regenerative atmosphere. This entry was posted in Continuing Education and tagged AOAPRM, conference, instruction, training. Bookmark the permalink.